Both teams have had a hard season, but the road in the Pac-12 remains wide open. This Saturday continues the storied, crosstown rivalry between USC (9-8) and UCLA (10-7). Through 17 games, both teams rank in the middle of an underperforming Pac-12. The conference features zero teams inside the Associated Press Top 25. The Bruins are looking for their fifth straight win over the Trojans. UCLA took both games last season, including an 83-72 win at the Galen Center. UCLA has won eight of their last 12 visits to USC. This will be the Trojans' first nationally televised game since their December loss to Nevada. Despite the recent struggles, USC has won 11 of its last 13 conference home games dating back to 2017. The Trojans have been marred by both injuries and personnel issues. Freshman guard Kevin Porter Jr. missed six weeks from December through January with a thigh bruise. Upon returning against Oregon State, Porter Jr. was then suspended indefinitely due to conduct issues. Head coach Andy Enfield has not stated a timeline for Porter Jr.'s potential return. Chuck O'Bannon Jr. will miss the remainder of the season after undergoing surgery on a broken finger, though he has not played since the season opener in early November. Sophomore forward Jordan Usher was suspended indefinitely in late December and subsequently announced his transfer to Georgia Tech in early January. Senior forward Bennie Boatwright, junior forward Nick Rakocevic and junior guard Jonah Mathews have paced the Trojans in scoring and rebounding, providing crucial leadership on an otherwise young and inexperienced team. UCLA has seen similar mixed results at the halfway point of the season. After an early 4-0 start, the Bruins have struggled. Head coach Steve Alford was fired after UCLA limped to a 7-6 record, including a 15-point loss to Liberty University. Sophomore guards Jaylen Hands and Kris Wilkes and 7'1" freshman center Moses Brown lead the charge. Brown is nearly averaging a double-double with 12 points and 9 rebounds per game. His rebounding and defense will be a big test for Rakocevic and Boatwright. Boatwright will look to continue his hot play on Saturday. In his last seven games, he's averaging nearly 20 points and 7 rebounds per game. In six of the Bruin's last seven games, they allowed an opposing player to score at least 20 points. The other role players and bench are going to need to step up and be at least serviceable to keep this one close. With both teams in sort of a slump, either team can come away with a win. 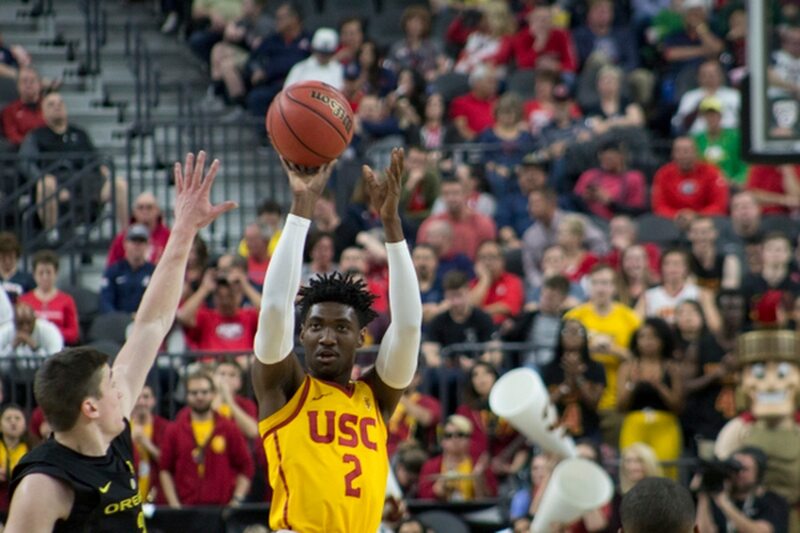 Missing Porter Jr. leaves a big hole USC's scoring and playmaking department. The team which minimizes turnovers and finishes strong will likely emerge victorious.